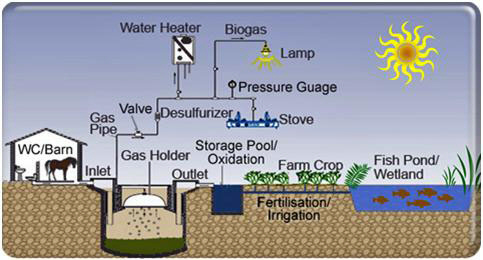 Biogas is naturally produced when any organic matter decomposes under anaerobic conditions (in the absence of oxygen). The gas consists mainly of methane (CH4) and carbon dioxide (CO2) in approximately 3:2 ratio. Methane is the important component, as it is a highly flammable gas that can be utilized as fuel for cooking, lighting, water heaters and, if the sulphur is removed, it can be used to run biogas-fuelled generators to produce electricity. 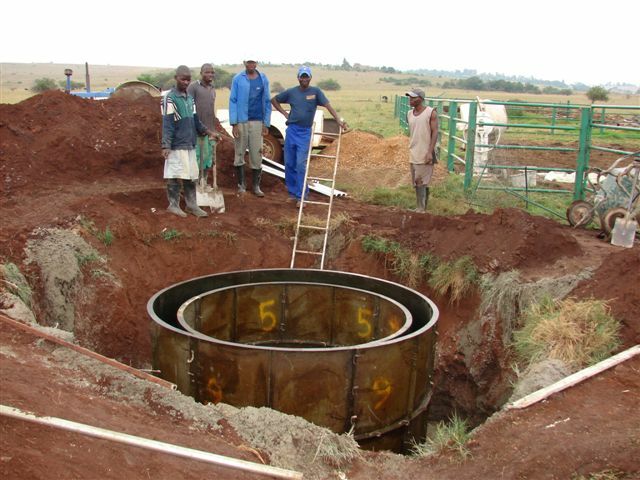 Biogas can be produced under controlled circumstances in specially designed biogas digesters. There are many types of digesters that are being used throughout the world. In countries such as Germany, biogas technology is highly advanced and applied primarily to produce green electricity in the megawatt range. In other developing countries such as India and China, a more basic technology is used to provide energy primarily for cooking purposes. India for instance, has more than a million digesters producing all the cooking energy for thousands of villages using human (sewerage) and animal (manure) waste in the process. One of the major spin-offs of using a biogas digester, is that the spent material is in the form of organic compost that can then be used to increase the yield of planted crops. The use of biogas is practically limitless. As a combined sewerage management/biogas producing system, any new house, guest house, lodge, development, golf estate, clinic, hotel, etc. 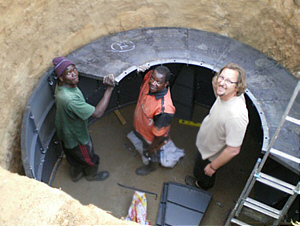 can install a biogas digester system. It can be their primary sewerage system, or a source of alternative and sustainable energy in the form of biogas. The digestate can be applied directly as organic compost, or the water can be recycled through a wetland. 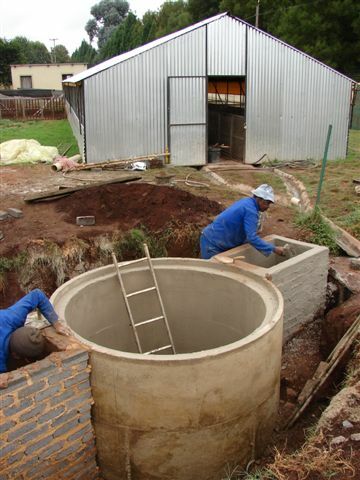 Commercially biogas digester systems can be installed at dairies, piggeries, chicken farms, abbotoirs or any other type of industry where waste containing organic material is produced, to generate green sustainable electricity. The ideal application for the Puxin Family Size Digester (10m3 digester) is for smallholdings, especially if there is some access to animal manure. 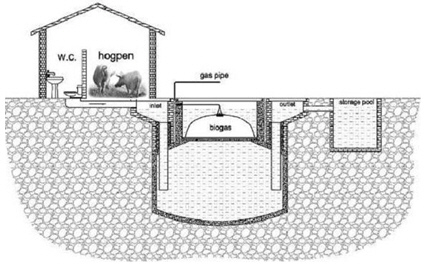 Adding animal manure over and above the household sewerage, greatly increases the production of methane gas. Practical use of the gas is primarily for cooking purposes, but the gas can also be used in the Puxin biogas water heater, biogas lights and to generate (standby) electricity by using a biogas generator. 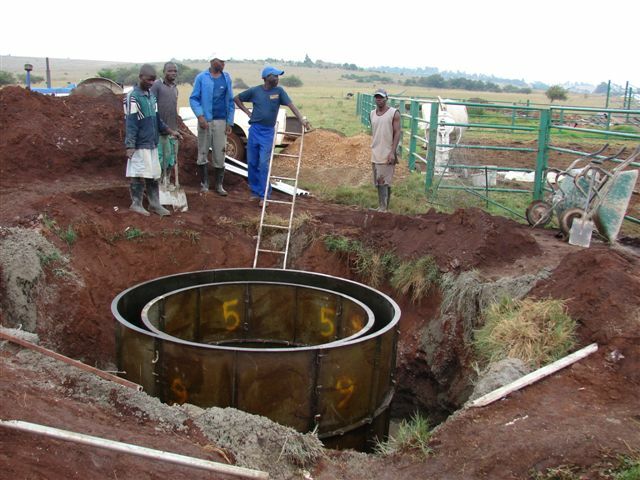 The next market segment is for larger setups such as guest houses, schools, clinics, or small farms where multiple units of the 10m3 digester are used. Sizing of the system is directly proportional to the amount of material fed into the digester, whether the system is designed primarily as a sewerage system or for the production of biogas. The amount of methane produced is dependent on the amount of gas producing material fed into the digester, limited to an approximate maximum of 5m3 of gas per 10m� digester per day. Dairies, pig farms and chicken farms that produce large quantities of manure fall into this category. Implementing a biogas digester system for these concerns could potentially be of enormous financial benefit for such ventures. Under normal circumstances the huge amounts of manure produced is more of a liability than an asset and either gets dumped or sold to composting companies for a nominal fee. 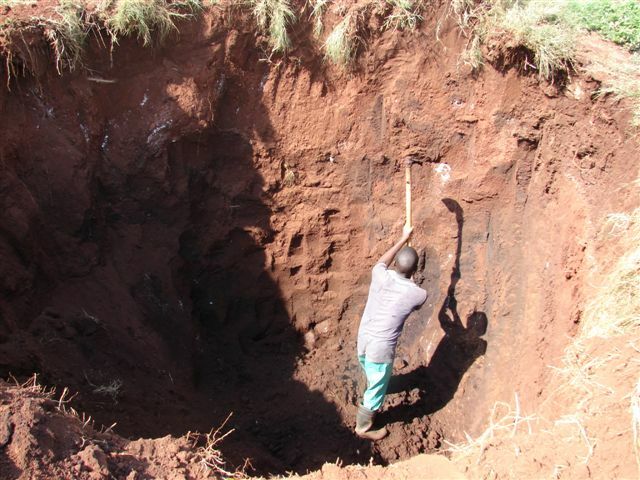 By installing a biogas digester system, the manure now becomes a major asset, able to produce practically free energy. This energy in the form of biogas can now be utilized to generate electricity, heat water, provide lighting or could be used for cooking purposes by the personnel on site. For this type of application Biogas SA will install their large 100m3 Puxin digester in conjunction with multiple gas holders. Biogas SA can supply and commission any size of biogas generator from a small 5kVA to very large 500kVA unit, depending on client's requirements. 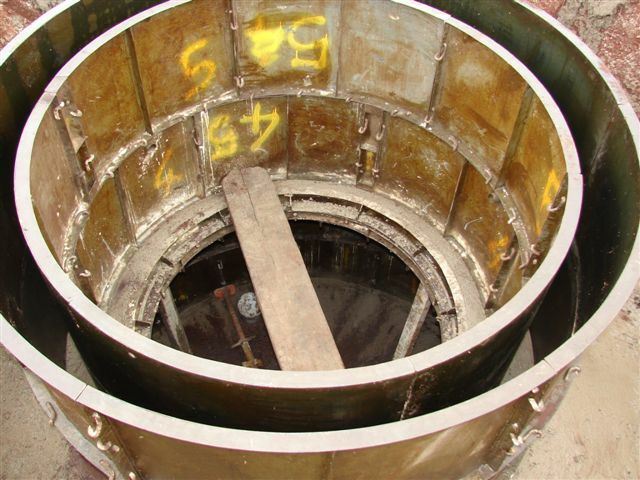 The Puxin technology is ideally suited to design and construct major sewerage works. Biogas technology can be used to replace existing technology and practices at our municipal sewerage works, not only providing a better way to deal with raw sewerage, but providing free energy in the process. Due to various reasons, a large number of our municipal sewerage works have become inefficient, is starting to cause serious pollution problems and is contributing to large scale contaminations of our precious water resources in South Africa. 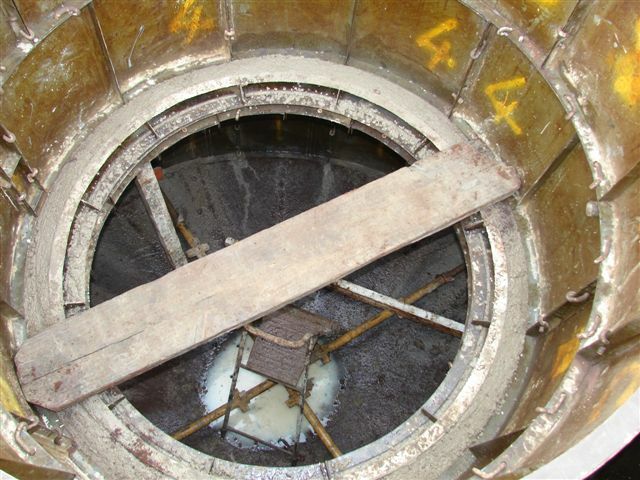 Commissioning biogas systems to replace the failing sewerage works has the potential to change this potentially disastrous situation into a win-win situation for all parties concerned. The cost of such biogas installations could be offset by claiming international carbon credits, the biogas generated could be used to generate electricity that could either be sold back to the grid or be used locally and the spent slurry could be sold off as organic compost. The major advantage to the environment is that the eventual effluent produced, will be of such a standard that it could in actual fact improve the quality of the water of the rivers it gets pumped into! Biogas SA with its association with The Shenzhen Puxin Science and Technology Company of China, is in a position to provide the full spectrum from design to implementation of fully functional, technologically advanced, biogas digester systems for the management of large scale sewerage works. This is applicable not only for municipal sewerage works, but also for any large scale residential developments, housing estates, golf estate developments, etc. Biogas SA can provide a service to all kinds/levels of public sector institutions such as schools, clinics, national parks, etc. and can be particularly effective if we could get involved during the design stage of such projects. 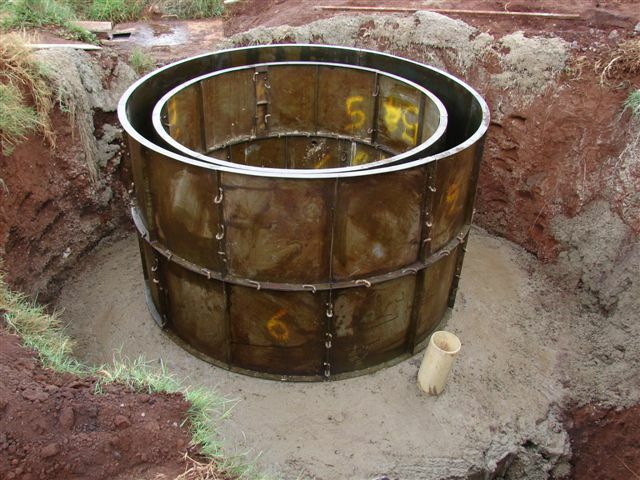 It is a lot more cost effective to incorporate a biogas digester as part of the initial design, rather than doing a retro-fit at a later stage. Any form of organic waste can be used as fuel for a biogas digester to produce methane. This introduces a whole new market not previously addressed by traditional digesters due to the difficulty of removing the solid spent waste from the digester. The Puxin digester has a large fiberglass reinforced dome that can easily be removed (no danger of trapped gas), giving easy access to clean the digester out and re-load with fresh material. This means that any type of organic waste material generated such as agricultural waste, restaurant/hotel food waste, municipal garden waste, waste from fresh produce markets, abattoir waste and any other waste one can think of as long as it is organic in nature. It can potentially be a solution to the water hyacinth problem! Tapping into free energy in the form of methane gas by feeding organic waste into a biogas digester is one of the most practical and cost effective ways to generate alternative, sustainable and environmentally friendly energy for all in South Africa. What Do We Use To Produce Biogas? Biogas SA is the sole licensee for South Africa of the Shenzhen Puxin Science and Technology Company (Puxin) of China. Puxin has developed over a period of 20 years a unique, patented hydraulic biogas digester that has eliminated all the disadvantages and enhanced the advantages of the more traditional fixed and floating dome type digester designs. As acknowledgement of its technology and contribution to promoting efficient alternative energy resources, Puxin was awarded the prestigious Global Top Ten Investment Scenarios to Apply New Technologies for Renewable Energy Utilization BlueSky Award in 2006, initiated by the United Nations Industrial Development Organisation. The Puxin digester basically consists of a belly, a neck, the plastic gas holder or dome, an inlet and an outlet. One of the main features of the digester is the fact that it basically functions as a hydraulic system. The entire digester is flooded with water, with the water at the same level in the inlet, digester neck and outlet. The fact the decomposition of the material now takes place under water, creates the ideal anaerobic conditions so critical for the creation of methane gas. The added advantage of the water is that it is also responsible for creating the constant pressure under which the biogas is available in this type of digester. As the biogas is produced in the bottom of the digester belly, it rises upwards and is eventually caught in the dome. As the volume of gas increases, it starts to replace the water in a downward direction. The resulting upward pressure of the replaced water ensures that the collected biogas in the dome is always under constant pressure (up to 8 bar). The fact that the gas is always available at the same constant pressure is a major advantage for the efficient running of most gas appliances. It is practically impossible to run a generator for instance, if the gas feeding the generator is not available under constant pressure; the generator will simply cut out every time the pressure drops. Another advantage of the Puxin design, is the ease with which the digester can be emptied out. Because it is so easy to clean, any type of organic material can be used as feeder material. 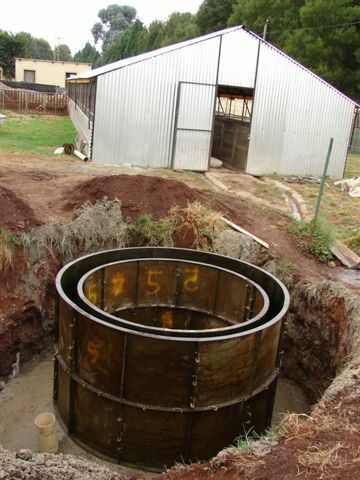 Where it is not practical to empty a digester (fixed dome type), only material such as manure that leaves now solid residuals after the decomposition process is complete, can be used as feeder material. Organic waste such as leaves, straw, grass, etc do not decompose to the same extent as manure and will always leave solid waste after decomposition. This spent material needs to be removed from the digester before the digester can be reloaded with new material. The light weight Puxin digester dome can easily be removed by two people, making it a practical system suitable to use organic waste as feeder material. This is a major advantage for applications where manure is not available in the necessary quantities, but enough organic material is available. You will need Adobe Acrobat Reader to view PDF documents. It can be downloaded for free from the Adobe website.